The METaL Project deliver training in Materials Science and Engineering. While each of our 10 credit modules focuses on a specific area, the subject matter can often still seem large, involving high levels of technical or scientific theory; for some this can be daunting. We believe that materials and manufacturing training should be accessible to everyone. Therefore, the only educational pre-requisite for attendees of our courses is that they have gained an equivalent CQFW Level 2 Qualification. CQFW Level 2 qualifications can include GCSEs, Welsh Baccalaureate or Vocational Qualifications, amongst others. We do not stipulate the subject matter of the previous qualification, and this can mean the audience for a METaL course often have varying academic experience of science and maths. Some attendees may have completed the full educational route in science or mathematics (i.e. GCSEs, A Levels, Degree), whereas some may have years of experience in industry, but few official qualifications. 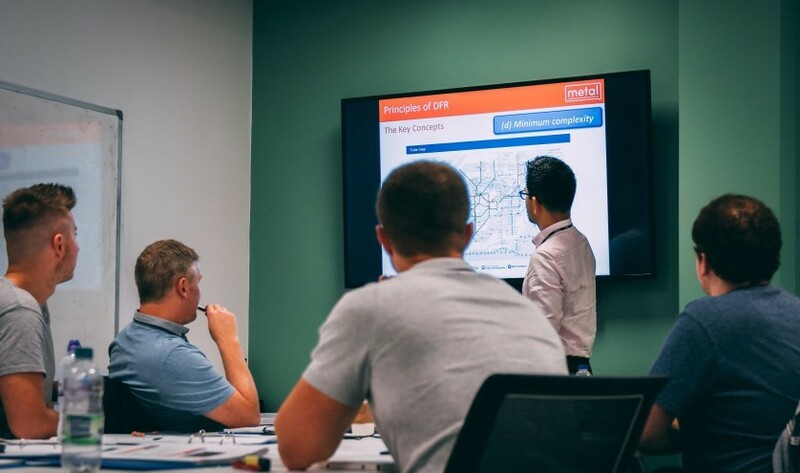 To support each and every participant on our courses, we use a wide range of teaching methods such as animations, online revision quizzes, YouTube videos, computer simulations and group discussions, to encourage all the participants to really engage with the subject. We have found animations are a particularly useful tool, as they not only illustrate the layout of a process but also bring the process to life. This is particularly valuable when explaining hidden processes, for example those which occur inside closed vessels, or when trying to drill down to the microscopic or atomic scales. As mentioned, METaL recognises that participants will have varying levels of mathematical knowledge, however basic maths is sometimes required to understand some of the principles discussed on the course. To combat this issue, our course lecturers have created an online maths tutorial to help participants get to grips with fundamentals. METaL courses are credit-bearing; assessment ranges from coursework to in-class tests to examinations. We understand that exams can be daunting, especially for those who haven’t been in a classroom setting for a while, and we are aware that this method of assessment could negatively impact a participant’s willingness to enrol on our courses. In light of this, METaL lecturers often provide tutorials, practice exam questions and quizzes, to aid understanding and boost confidence, thereby achieving the best results for each participant. METaL have even explored virtual reality technology in Swansea University’s electronics labs, to see how it could be utilised as a learning tool. We hope in future to be able to display interactive posters and make the most of the VR technology available through the University. We want our students to pass, and walk away with a qualification; as such, we pride ourselves on giving guidance and support to every participant with an aim that each student succeeds and gains confidence in their abilities.